I Made My Own Buttons! I’ve been wanting to make my own buttons for some time now but didn’t know if it would really be worth the investment. I go through a lot of buttons because of my bags. 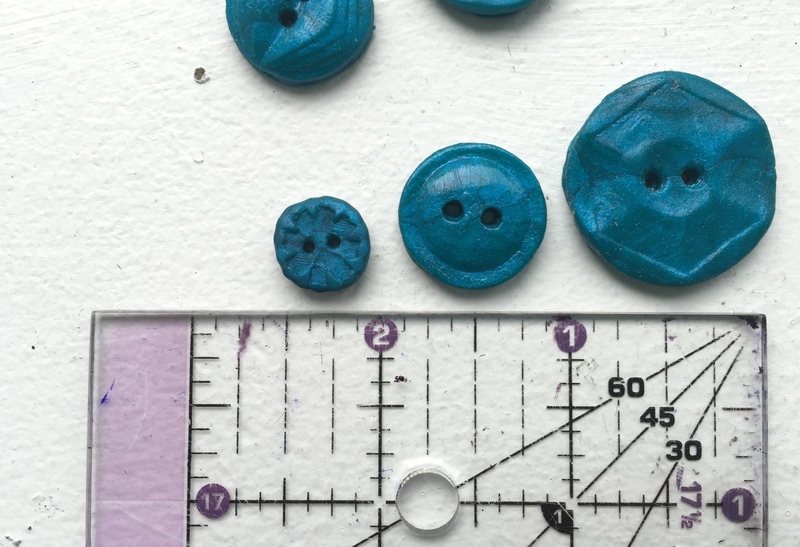 Almost all of my handbag designs incorporate buttons (my tagline is “handmade with love and buttons”) and there are certain sizes and colors that I use most often. 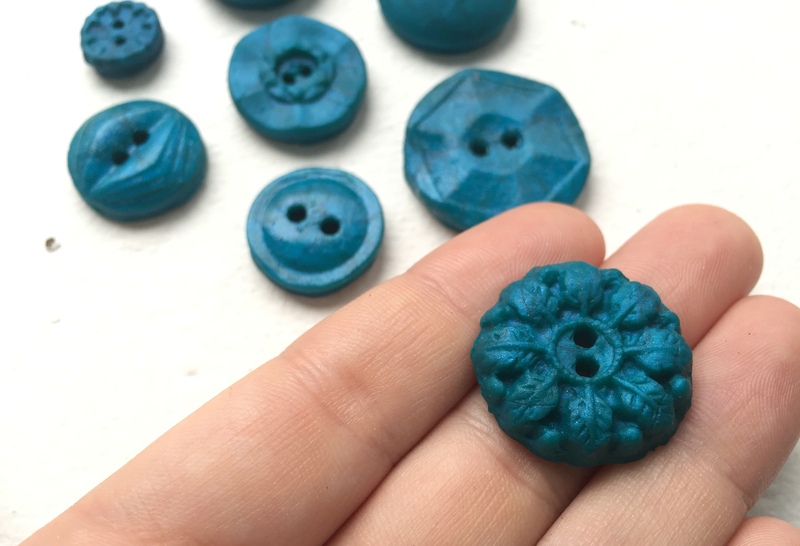 Finding these colors and sizes in bulk is very difficult- I either have to buy multi packs filled with teeny tiny buttons and a few large buttons or buy a pack of two to three that costs $2.00, which isn’t cost-effective in the long run. These little pieces of plastic are so expensive! 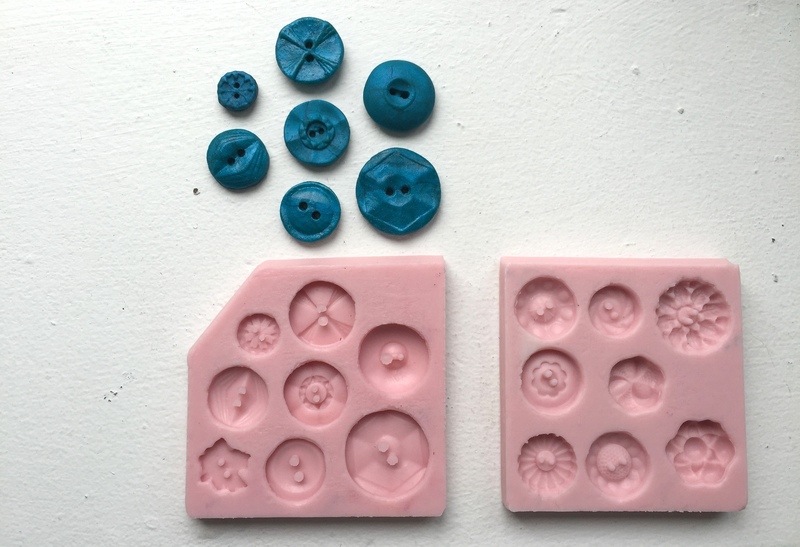 I started researching buttons molds and came across this awesome seller on etsy. Mold Me Shape Me makes her own molds and rather than just a single button in the mold, each has 8. I bought some clay from JoAnn’s because I had a coupon (of course) and at the same time I spotted something I didn’t think I needed. It was a craft oven! Specifically for working with clay. I had a 50% off coupon so it was just over $30. I thought, if I am going to try this thing then I am going to try it right. I’m too embarrassed to show my test batch. They are bad. They don’t even have holes to sew them to anything. So what I am showing is my second batch! The craft oven has a timer so the buttons can’t burn and I don’t have to turn on my apartment oven for a small baking batch. 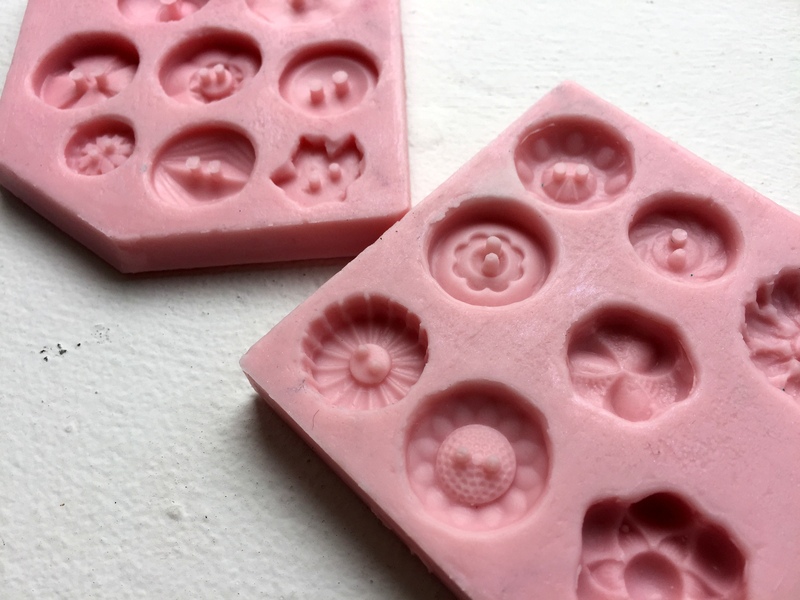 I learned that while you can bake the buttons directly in the molds, you can also pop the clay out before baking and make multiples at once. I prefer popping them out because I can make sure the holes are not deformed and the mold detail is clear. 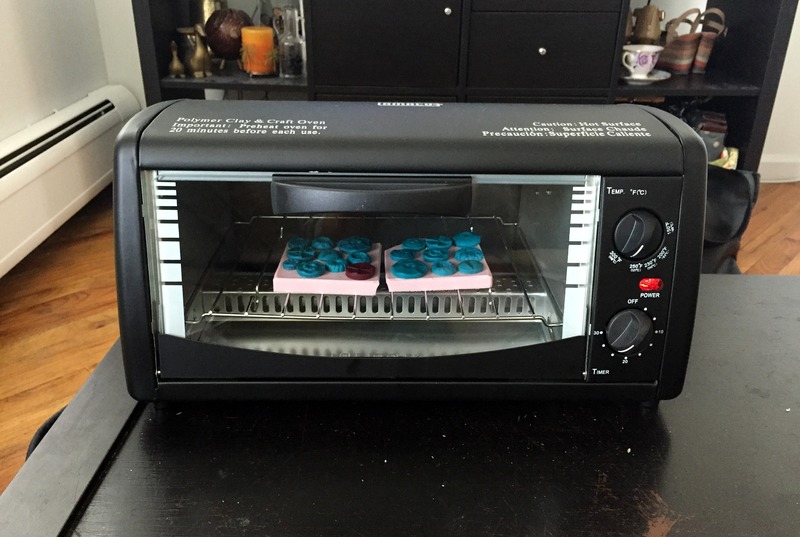 The oven did not come with a tray, so I will have to invest in one, but this little heat maker is SO WORTH IT. The second batch is so much better than the first and I’m getting better but working with clay is a new experience for me. The first pack I tried (the turquoise) was just the right amount of pliable and worked really well with the molds but when I tried to use the burgundy I bought, it got too soft. I’m hoping leaving it out a little will harden the clay. I like the look the clay produces but would LOVE to get a liquid resin of some kind to try for a cleaner look. While making the liquid and getting the right color figured out would be time-consuming, the process would eventually speed up compared to the clay. This is one of those projects that don’t feel like work. A little crafting after sewing keeps me entertained while just relaxing and I’m still being productive. Would you make your own buttons? In other craft news, I had two projects planned & made and both of them didn’t work out. One is salvageable but there’s no hope for the other. So that’s why the blog has been a little slow. This happens every so often, I rush and things don’t come out right. I have a few projects to work on this coming week and will have to be a little more cautious and take that extra time to make sure they are wearable. Wow, they look so nice and professionally done! 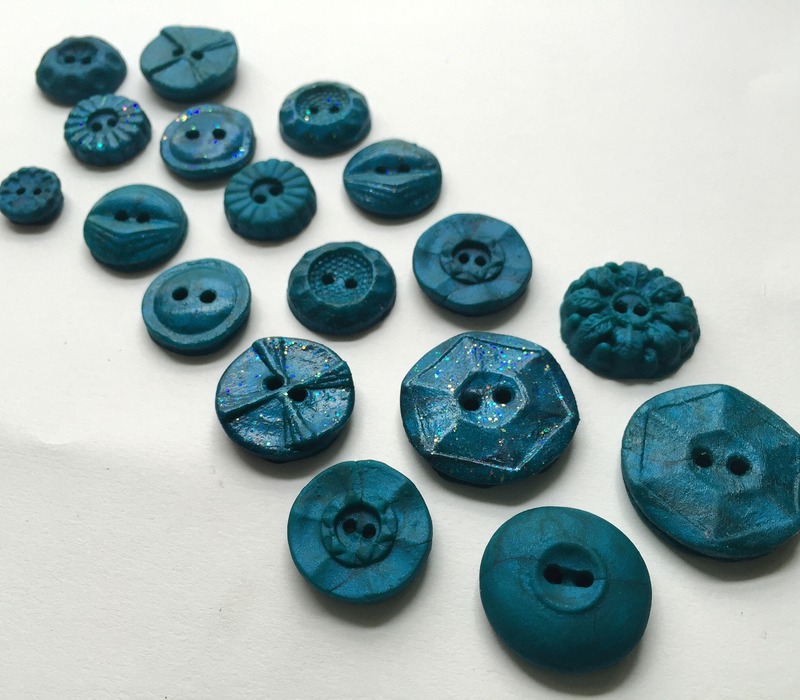 I never even thought you could make your own buttons until this post. 😀 Great job! Thanks! I actually didn’t think making buttons was a “thing” until I started doing research. It’s like a whole little craft world just opened up! What brand of polymer clay did you use? Hi Anne, I used Sculpey Premo Polymer Clay bought at JoAnn’s.